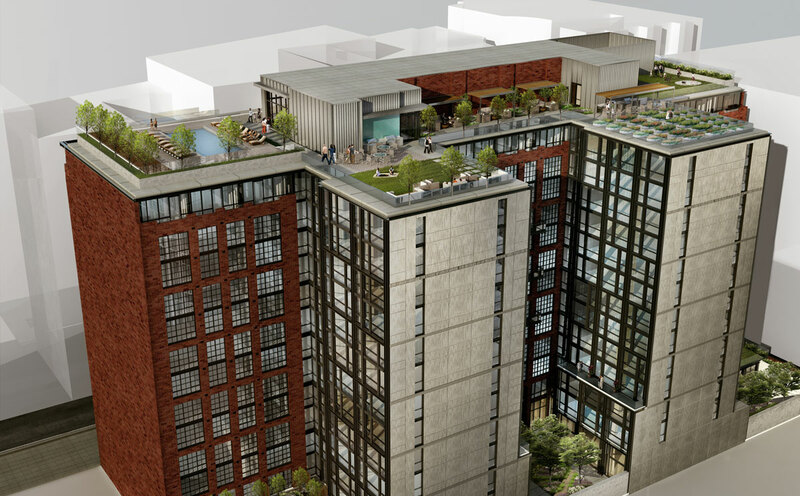 The Belgard’s timeless new apartments in Washington DC – perfectly positioned in the NoMa neighborhood – have so much in store: gorgeous, thoughtful amenity spaces, luxe finishes, and eye-catching surprises around every corner. Check out our four most highly anticipated features. At The Belgard, no detail is overlooked. From technological conveniences to luxurious materials and smart touches that ease your life, The Belgard offers a lifestyle to look forward to. With GRAFF® chrome fixtures, Caesarstone® countertops, engineered hardwood plank flooring, and cast-iron bathtubs, The Belgard makes a statement like no other. The experience at The Belgard will change what it means to be a resident of luxury Washington DC apartments: With carefully selected hospitality-inspired touches, our amenity collection is truly exceptional. Case in point: The Belgard features a private bar and clubroom reserved solely for residents. This intimate gathering space will offer a refined respite for residents – and a great excuse to stay in. The Belgard is home to one of the most sought-after rooftops in the city: With gorgeous views of NoMa and an infinity edge saltwater pool, residents have exclusive access to a restorative escape. Laze the day away in one of our private cabanas or host a get-together with friends and take advantage of the outdoor kitchens. No matter your warm-weather style, The Belgard’s resort-style rooftop will quickly become your favorite spot in the city. The Belgard’s art collection promises to engage and inspire, and to leave a lasting imprint on residents and guests. In partnership with Canvas Art Consultants, Wood Partners curated a collection of works inspired by The Belgard’s cool, clean amenity spaces. The artwork underscores the cutting-edge vibe of the industrial modern interiors designed by RD Jones & Associates. Ready to position yourself prominently? Be the first to discover life at The Belgard – Sign up here to learn more.